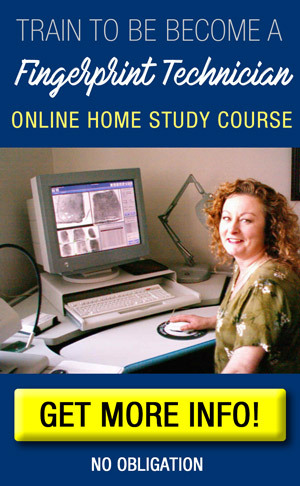 There is no known definitive start date for studying fingerprints. Fingerprints have been seen on cave walls hundreds of years ago. During the Roman Empire, the first written account of fingerprints took place. A man was murdered in his home and the son was a prime suspect. However, the murderer left behind a bloody handprint on the wall, the handprint was much too large to be the son’s and he was acquitted of the crime. Consequently the step-mother was later convicted. This illustration shows that the size of the bloody handprint used as a process of elimination of suspects. Later on in the Tang Dynasty in China, a bloody fingerprint of each spouse was needed on paper to acquire a divorce. Fingerprints were also needed on land deeds, loans and other official documents. The oldest existing documents were endorsed in the 3rd century BC. Both of these illustrations show civilizations realized fingerprints could be used a process of identification, although many disagree they were fully aware of the uniqueness of a fingerprint. Nehemiah Grew lived in England as a botanist, he studied the similarities and differences between plant leaves and fingerprint striations. In 1684, he presented a paper on the subject to the Royal Society. Marcello Malpighi was an Italian doctor and was greatly inspired by Dr. Grew’s findings. He went on the study the layers of the skin and found Grew was correct. Jan Evangelista Purkinge was a Bohemian professor who, in 1823, classified fingerprints into 9 classes. These classifications would later be used by Henry as arches, tented arches, loops, whorls and twinned loops. Henry Faulds was a British scientist who produced “Nature” magazine in 1880 for other scientists in foreign countries. He studied why Japanese pottery had fingerprints as signatures. During the Scarlet fever epidemic he observed sick people and took their skin sheddings. He discovered the same fingerprints came from the same person. This led him to conclude fingerprints had permanance and could be used as a form of identification. He also made known that if fingerprints on a person are destroyed, they are regrown in the same pattern. Could they be used as a way to identify the dead? Sir William Herschel was an English administrator sent to India to study pottery. While there, he observed fingerprints were taken from those standing in line to receive food rations, and that nobody returned twice in the same day. Did the Indians know fingerprints could identify them if they came back in the same day? This is a process of elimination using fingerprints, not yet used for positive identification. Sir Francis Galton was the first to study fingerprints as a science. He gathered over 8,000 sets of fingerprints, studied them and eventually narrowed them down to three types: arches, loops and whorls. Sir Edward Richard Henry wrote the classification system for fingerprints in 1873. Although it was the most widely used system in English countries, it was not yet adopted for criminal justice purposes. The World’s Fair in St. Louis, Missouri during 1904 was a mans training ground. All aspects of fingerprints were taught, including taking and comparing fingerprints. In 1905, fingerprints are taken when joining the Army for death purposes. The Navy soon followed in 1906, and the Marines in 1908. In 1911, the People v. Jennings was the first court case to allow admissability of fingerprints in court, it took place during an Illinois Supreme Court case. The beginning of the FBI Identification Bureau was introduced in 1924 by J. Edgar Hoover. He received fingerprints from Ft. Leavenworth and started the first criminal history compilation of fingerprints.